If you follow The Cheapskate Food Blogger you will never go hungry. And here are my Top 9 Recipes of 2012 to prove it. Although the ingredients are inexpensive, the flavors are varied in their scrumptiousness. And I have personally mined from the last year these culinary multifaceted gems for your viewing pleasure. I like to mix it up, from vegetarian to carnivore fare; and a sweet condiment of Mango Chutney, to a slab of Homemade Deli Pastrami. Just click on any Recipe Title below to go into my recipe blog page. So let the countdown begin! Like most of my recipes, I had never tried making crunchy orbs of Falafel. But sometimes you just roll up you sleeves and jump in. I ended up making way too much, but my friends at work didn't seem to mind - I brought a batch in and they ate them up. And this is a great recipe for Meatless Mondays. You can drain and roast a can of cheap garbanzo beans (to put back some crunch and texture) or go whole hog and soak dried chickpeas overnight and make Falafels from scratch. I have a neighborhood Middle Eastern market so I got a bag of beans for a buck. 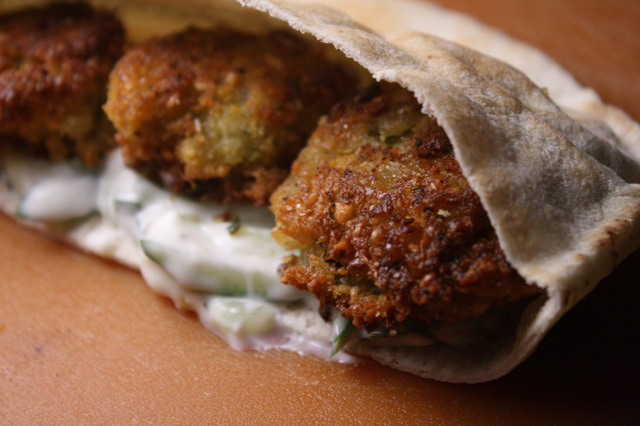 Falafel balls are easy to make, as my recipe shows. And as a bonus I came up with a cool accompaniment to stuff into a Falafel Pita Sandwich: Cucumber, Yogurt and Honey Relish. I've been on a tear lately, cranking out cool stop motion animated food recipes, and one of the more wild ones is my Homemade Egg McMuffin. A wacky highlight is my constructing an egg frying ring out of a tin can -- hey, don't knock my cheap ways, it was simple to do and it works great. 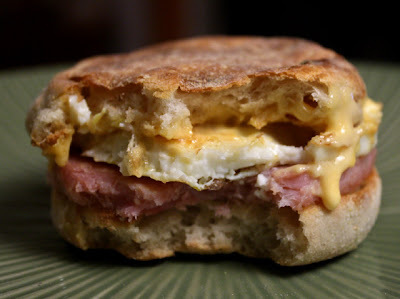 And I got a perfectly round puck of egg that fits snuggly between a toasted English muffin. So do check out my recipe video below; and to see the recipe text with photos -- just click on the title heading above. You may often ask yourself after reading my food musings a few times, "Where's the beef?" Well, here it is. This Tightwad Forager seldom cooks with this most expensive protein, but there are small 3 ounce packages of frozen rib eye steaks for $1 to be found in the meat deli cases of L.A. chain grocery stores. 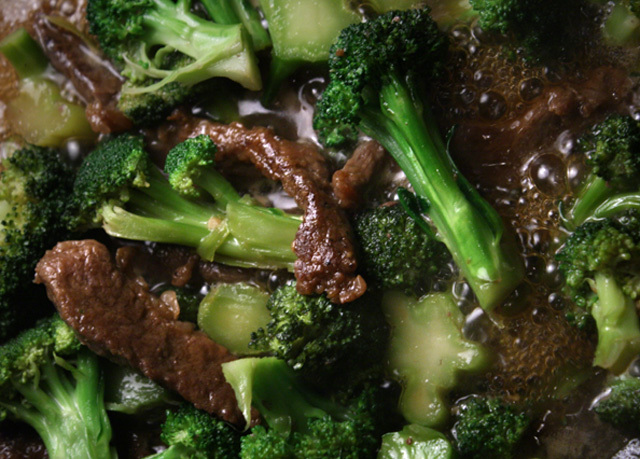 It's the perfect size for a serving or two of a Chinese classic Beef & Broccoli Stir Fry. I love stir frys for their simplicity and sweet, salty and sour flavors. My accompanying stir fry sauce is easy to make and so flavorful. And if you are carb-phobic, this recipe is for you. Plus my chintzy recipe has been highlighted by Fave Health Recipes here. Everyone knows how to eat a steamed artichoke, right? Apparently not - according to Lesley Bargar Suter, the food and dining editor for Los Angeles Magazine. She posted a link to my recipe video on the magazine's food blog, Digest, so her husband and Chicago friends can see how the Chintzy Food Professor does it! To read her amusing artichoke post, click here. 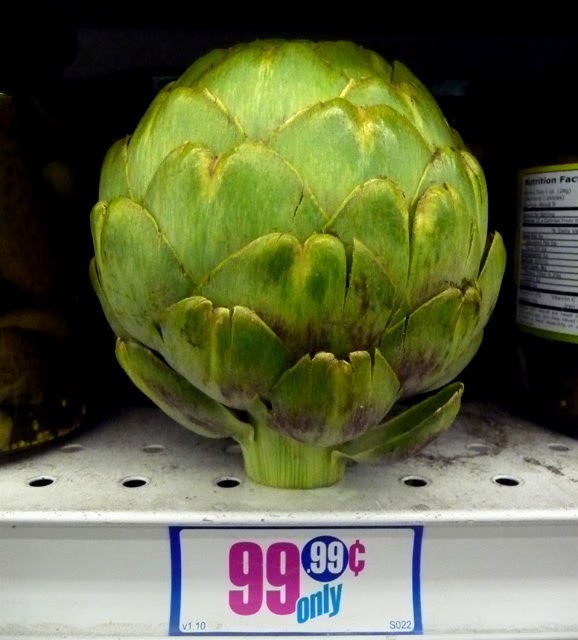 If you've never steamed an artichoke to tender perfection and worked your way to the creamy choke, then be sure to oogle the animated video below. My recipe for Homemade Deli Pastrami is the Lawrence of Arabia of stop motion animated food videos. Just check out the epic cinematic culinary artistry on your computer screen. A widescreen vista of cured bovine fresh from a smokey BBQ grill will leave you breathless...and salivating. And there are no movie lines to wait in, and the price of admission is a big fat zero -- take that movie theaters and cable TV. I directed this deli-story with brevity, featuring tasteful compositions. So, I submit for your consideration, my video of a Homemade Deli Pastrami. 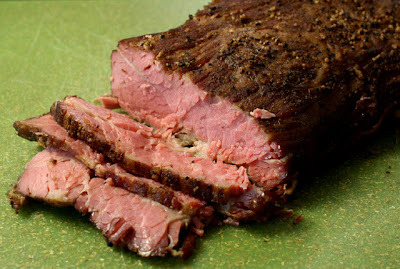 Try out this recipe on your family and you will surely receive a Standing O -- but look out because they will want encore after Deli Pastrami encore. If you like eating India food then be sure to check out my recipe for Mango Chutney. This fruit-packed jam is the perfect accompaniment to spicy curry or Tandori chicken (my recipe here) that you bring home from your favorite India restaurant. This sweet condiment goes with any of my Oriental or Middle Eastern themed recipes. 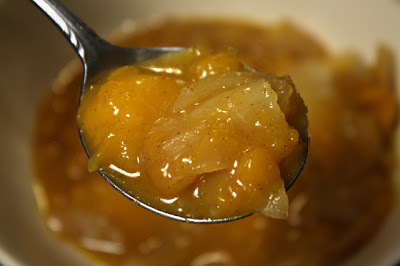 And if you are looking for a bit of sweetness to go with your favorite savory entree, then chop up some mango and onion, and simmer with vinegar, sugar and a few spices for an easy-to-make Mango Chutney. This recipe is meat and potatoes, British style. 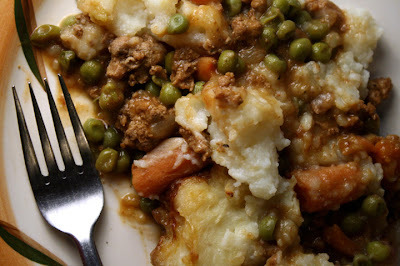 Traditionally made with Lamb, I've substituted cheap ground turkey for a lighter one-pot meal. Shepherd's Pie is also loaded with carrots and peas in a thick gravy, and topped with a charred crust of mashed potatoes. You can't get a more hearty winter's day meal than this; and it reheats deliciously in the microwave -- so you can't make too much. Plus this recipe gets my Wife's Seal of Approval! I like my deli sandwiches with coleslaw. 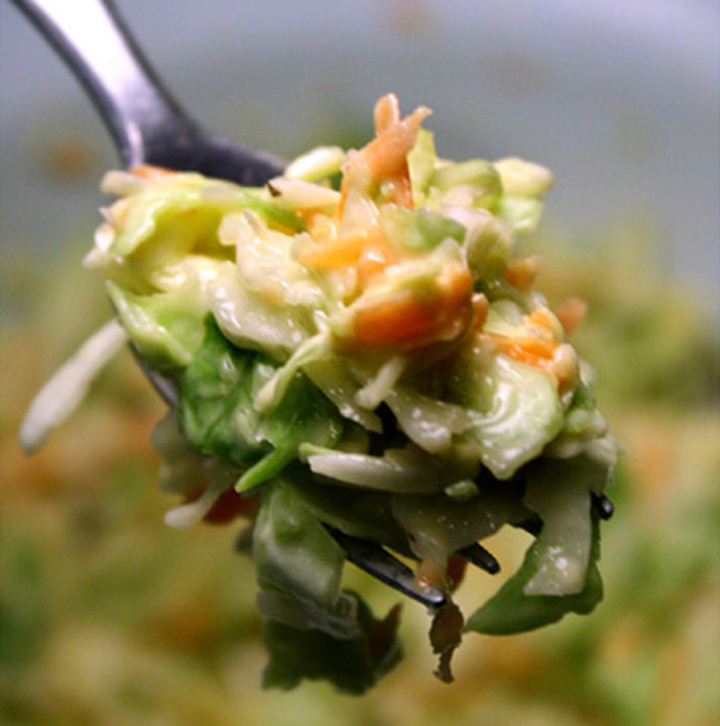 And my recipe for a deli coleslaw is crunchy perfection. It combines shredded cabbage and carrot with mayo, oil and vinegar, to create a creamy, tart topping, or sandwich side dish. And if you make my Homemade Pastrami then team it with this Delicatessen Coleslaw. 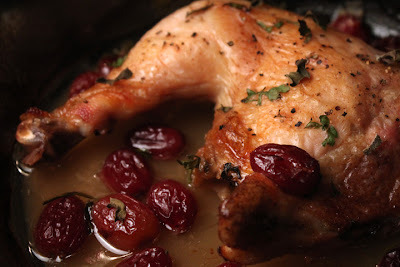 I've saved one of the best Top 9 Recipes of 2012 for last: a sweetly succulent Baked Chicken with Grapes. Roasted chicken with fruit is a winning combination, and the preparation is miniscule. Just scatter on a handful of grapes on an inexpensive leg quarter, along with a splash of white wine, and you have a divinely sweet and savory budget entree. And remember to just click on any Recipe Title above to read each Top 9 Recipe of 2012 and get all the delectable details. Well. thanks for being my dining companions this last year. Please do come back and try your hand at a few of my economical recipes - always presented with creativity, humor, and a bit of style.